ITEM THIRTEEN: The P-38. I would be remiss if I didn’t include in this collection an item that I almost forgot that I had on me, but have reached for in my pocket instinctively since I was a teenager every time the need arose- the P-38. Ounce for ounce, you’d be hard pressed to find an item that has met the needs of more hungry American soldiers than the P-38. 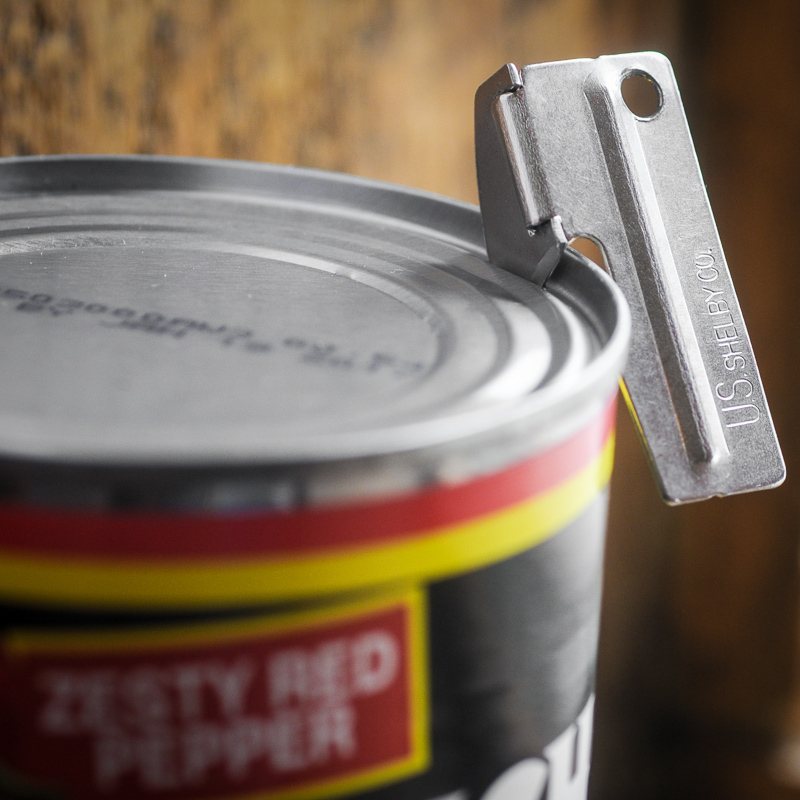 Designed in WWII to open food cans, you will still find the P-38 on the key-chains of veterans of a certain age because it continues to perform the same job with the exact same precision without rusting, sharpening or breaking more than 70 years later. Issued to G.I.s until the advent of the MRE ration in the Eighties, food photographers in the self service can pick one up like I did new for 50 cents at a military surplus store.